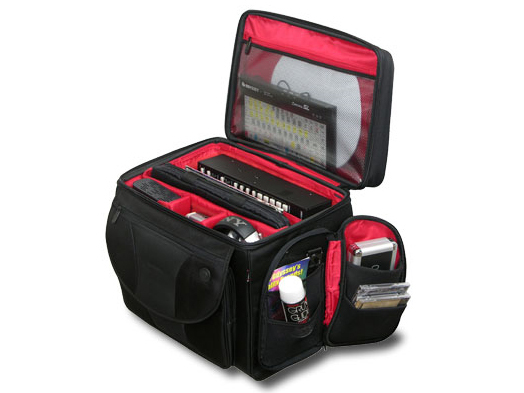 Odyssey BRL17W Redline Elite Series Pro Shuttle Bag DJParts - All Variety of Parts that DJ Needs. Odyssey presents the Redline Elite Series, cutting edge bags for today's on the go DJ / Remixer / Producer. The Redline Elite bags' sleek red interior and black exterior designs are made with high quality material that not only makes you look good, it make you feel good. The Redline Elite BR17W is the ultimate gig bag for your gear. 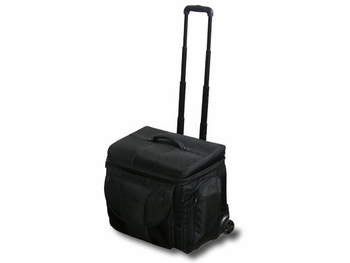 Roll out to your gigs with literally all your essentials with this diverse multi-functional mother of all digital gear bags. Fully adjustable padded dividers allow you to completely configure the main interior compartment to what best suits whatever gear you need to take with you. 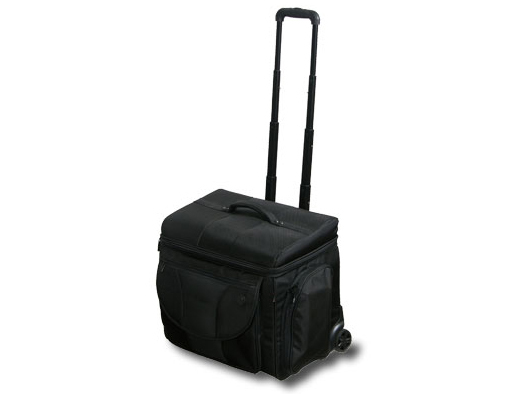 The main compartment has enough room to transport DJ controllers, mixers, and tabletop CD/media players as well as an Odyssey LSTANDM laptop stand, your 17" laptop, microphones, interfaces, cables, hard drives, headphones, vinyl, and much more. It's Fully padded in all the right places and has a steel reinforced frame for the ultimate in digital gear protection. Fits gear such as: • Akai APC40 • Up to 17" Big Laptop • DJ Mixers • Tabletop CD/Media Players • Digital Controllers • iPad • Cables • Turntable Needle Cartridge Case • Hard Drives • Serato Scratch, Traktor Scratch, and M-Audio Torq Interfaces • Laptop Stand (LSTANDM) • Vinyl, CDs, & Memory Sticks and much more!